Due to the tragic events in Sri Lanka, fram^ would like inform that all personnel are unharmed and safe. We are continuously monitoring the developments through our partners, the official security briefings and our local employees. Here you will find financial information about fram^ such as financial reports, financial news, regulatory announcements and share information. Do not hesitate to contact us if you have any suggestions or questions. If you’re not already subscribing to our IR news – fill in your email below and stay update. Fram Skandinavien AB, publ (Fram ^) has its B-share listed for trading on Nasdaq First North since October 2017. On this page you will find financial reports, news, and other important information about Fram^ (Fram Skandinavien AB, publ) and Fram ^ share. Subscribe to our site to find out the latest updates about Fram^. Ahead of Fram Skandinavien AB's capital markets day on the 5th of December 2018, please find the following presentation. A video link will also be available on this page the 5th of December 2018 at 08:00 CET. Nasdaq First North is an MTF, as defined in EU legislation (as implemented in national law), operated by an exchange within the Nasdaq group. Issuers on Nasdaq First North are not subject to all the same rules as issuers on a regulated main market, as defined in EU legislation (as implemented in national law). Instead they are subject to a less extensive set of rules and regulations adjusted to small growth companies. The risk in investing in an issuer on Nasdaq First North may therefore be higher than investing in an issuer on the main market. All issuers with shares admitted to trading on Nasdaq First North have a Certified Adviser who monitors that the rules are followed. The Exchange approves the application for admission to trading. Subscribe to the news, press releases and financial reports we publish. Max has previously worked for SEB Enskilda, within Brunswick Group and at StockWell Group in London. After that, Max worked for Rocket Internet in Kuala Lumpur, and lastly as CEO and founder of Kinnevik's portfolio company Bima in Sri Lanka, providing mobile health and accident insurance. Since 2013, Bima Sri Lanka has sold more than 3 million insurance subscriptions, has 300 employees and the company achieved profitability in 2015. Education: Stockholm School of Economics, Masters Degree in Economics. Max owns 137,000 B shares in Fram ^. 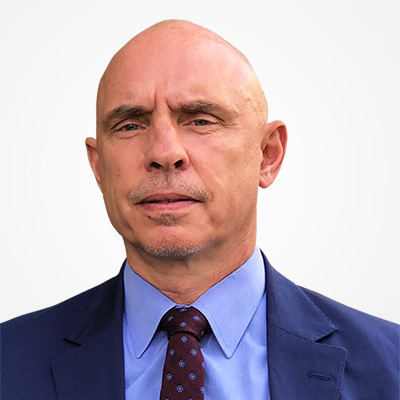 Max is full-time employed by Fram ^ as CEO since 2017 and can not therefore be considered independent company. However, Max is independent of the company's major shareholders. Duy has extensive experience in IT development and has previously worked in leading roles in companies such as HPT, VON, YouNet. Duy has great programming skills in XML, C, VP, Access, SQL, MySQL, Java Script, PHP, ASP and more. 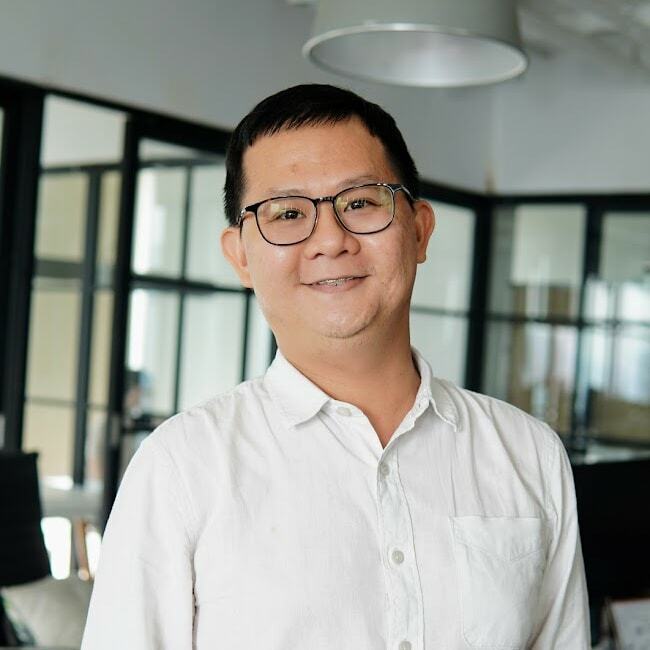 Duy is a co-founder of Fram ^ and has been active in the company since its inception in Vietnam. Education: Bachelor's Degree in IT from HCM City University and an MBA from the Maastricht School of Management. Other current positions: INo other current positions. Duy owns 7,500 A shares and 117,000 B shares in Fram ^. Duy is a full-time employee of Fram ^ since 2013 and as COO since 2017 and can not therefore be considered independent company. However, Duy is independently the company's major shareholder. 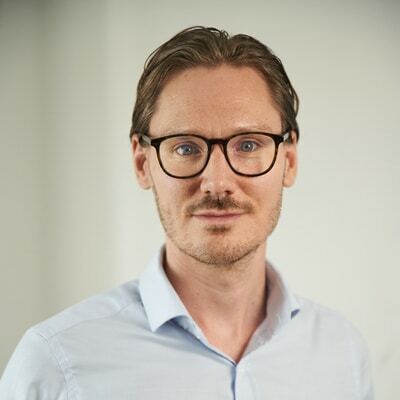 Niklas is CFO & Head of Investor Relations for Fram^ since February 2019. He has assumed various positions in finance and treasury and most recently as Head of Business Control of Kinnevik's portfolio company Bima. Bima uses mobile technology to deliver health and insurance services in emerging market and has, since 2011, sold more than 35 million policies. Niklas owns 650 B shares in Fram ^. 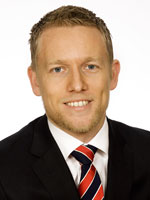 Niklas is full-time employed by Fram ^ as CFO & Head of Investor Relations since 2019 and can not therefore be considered independent company. However, Niklas is independent of the company's major shareholders. Christopher is an entrepreneur and investor with previous experience from Cevian Capital, one of Europe's largest hedge funds, CEO and co-owner of the Barn Store, CEO and Co-founder of former Kinnevik owned company Lazada.vn. Lazada Group was sold to Alibaba Group S.A. in 2017 for 3.2 billion USD. Christopher has also founded and is a partner in Endurance Capital Advisors Ltd, an activist fund focusing on Vietnamese Mid-Cap companies. Education: Stockholm School of Economics, Masters Degree in Financial Economics. Other current positions and / or shareholder (owns more than five percent of the company):Chairman of Intrepid e-commerce services B.V. as well as Pangara AB, Founding Partner & Chairman of Endurance Capital Advisors Ltd, Board member and shareholder in Norsel Industries B.V. Board member of VNDirect JSC and Pricerunner. Previous positions (past five years): CEO of Fram Scandinavia, CEO and Chairman of Fram Ltd, CEO & Co-Founder at Recess Company Limited (Lazada Vietnam), President & Partner in Barnbutiken AB. Christopher owns, through the company Norsel Industries Ltd, 50,250 A shares and 953,619 B shares in Fram ^. Christopher is independent of Fram ^ and its company management, but not independent of its major shareholder, Norsel Industries Ltd.
Stina has previous experience as management consultant (McKinsey) and within Investment Banking (Credit Suisse) before joining Investment Manager at Kinnevik. Stina has since been Kinnevik's Head of Strategy and now recently Investment Director. 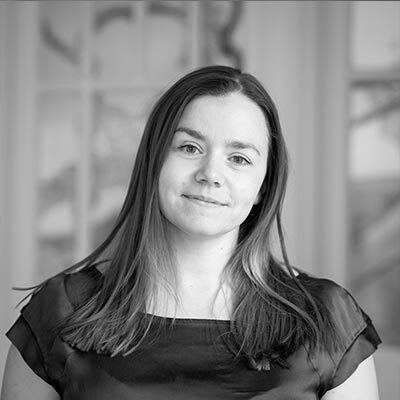 Stina is today a member of Tele2's management team responsible for strategy and business development. Previous positions (last five years): Member of the management team of Investment AB Kinnevik. Board member of Metro, Metro International, Rolnyvik, Dealdey, Relevant Traffic (Kinnevik's portfolio company). Stina owns 43,333 B shares in Fram ^. Stina is the independent company and its major shareholder. Mikael has a broad experience from a number of leading positions within Ericsson AB. 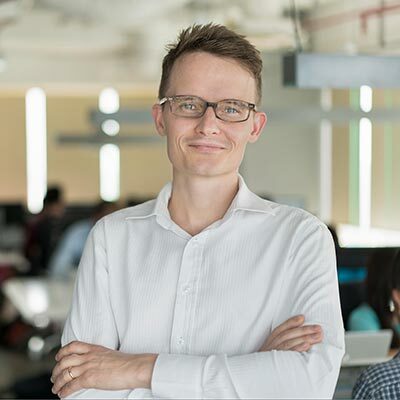 For the last 20 years, Mikael has been appointed vice president of various positions in Ericsson, Brazil, Panama, India, Sweden, Russia, and recently as Head of Operations for Ericsson in Vietnam, Cambodia, Myanmar and Laos. Education: Internship at Ericsson Management Institute. Mikael owns 47,500 Class B shares in Fram ^. Mikael is the independent company and its major shareholder. Henrik Henrik runs his private investment company Trottholmen Ltd. Henrik has experience as a major shareholder and Chairman of Net Gaming Europe AB (publ), myTaste Group AB (publ), NetJobs Group AB (publ) and Board member of Entraction AB (publ), TradeDoubler AB (publ). Utbildning: Linköping University, master of science in industrial engineering. Other current positions and/or part owner (owns more than 5% of the company): Chairman of the Board of Trottholmen AB, Net Gaming Europe AB (publ) as well as NetJobs Group AB (publ). Previous positions (last five years): Chairman of the myTaste Group AB (publ) as well as Board member of Tradedoubler AB (publ). Henrik owns, through his company Trottholmen AB, 303 100 B shares of Fram^. Henrik is independent Fram^ and its management, but not independent of its larger shareholders, Trottholmen AB. Max has previously worked as Client Relationship Manager SEB Enskilda, within Brunswick Group and at StockWell Group in London. 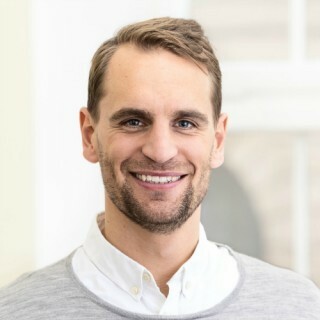 After that, Max worked on Rocket Internet in Kuala Lumpur, and lastly as CEO and founder of Kinnevik's portfolio company Bima in Sri Lanka, providing mobile health and accident insurance. Since 2013, Bima Sri Lanka has sold more than 3 million insurance subscriptions, has 300 employees and the company achieved profitability in 2015.